To treat lupus, doctors use very strong medications that often have serious side effects. 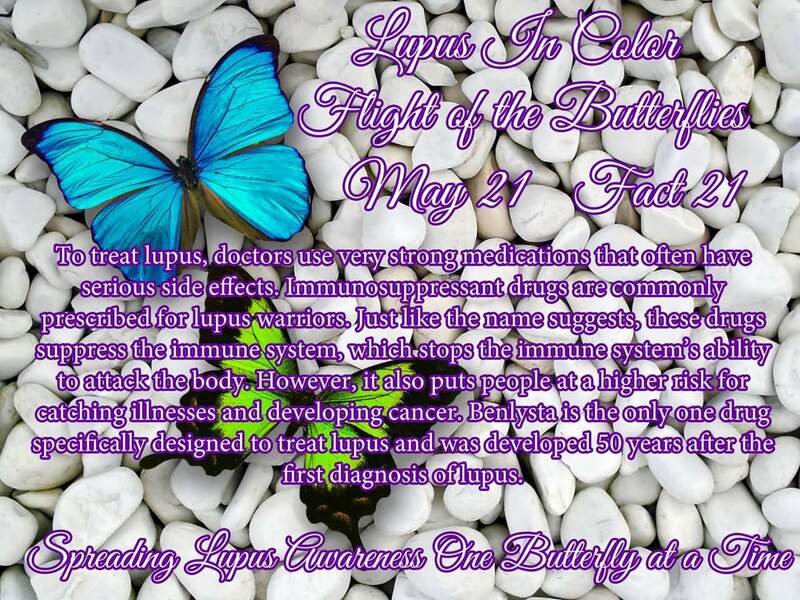 Immunosuppressant drugs are commonly prescribed for lupus warriors. Just like the name suggests, these drugs suppress the immune system, which stops the immune system’s ability to attack the body. However, it also puts people at a higher risk for catching illnesses and developing cancer. Benlysta is the only one drug specifically designed to treat lupus and was developed 50 years after the first diagnosis of lupus. This is your twenty-first butterfly of hope.